I think this qualifies as a detail, even though it's rather prominently situated along a major pathway within Disney California Adventure. 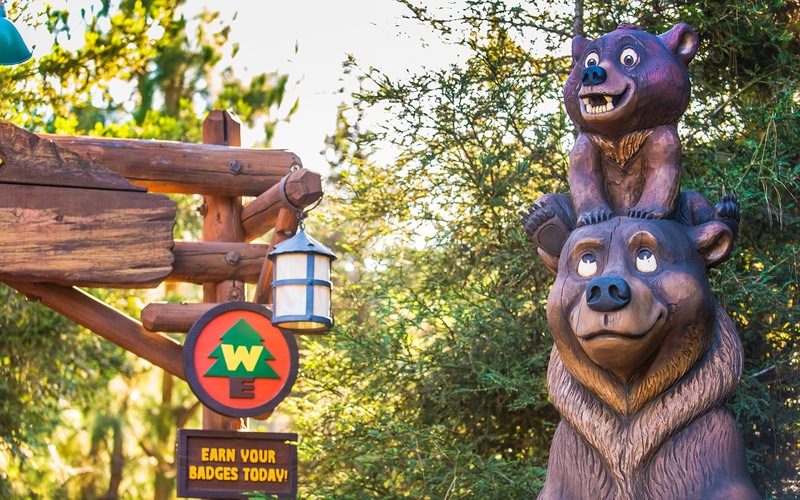 But I kind of like this little tribute to the movie Brother Bear, where the little bear cub, Koda, is perched atop Kenai, who had been transformed into a bear. The friendship between the two and the love and bond are all Disney ideals. Together, they can survive any adventure or danger and ultimately triumph over their adversity. It's a great tenet, for sure! A happy totem from Brother Bear over at the Grizzly Peak Recreation Area.